LAST month I wrote about my teenage daughter and I joining more than 100,000 Australians in a worldwide strike for climate justice. It is estimated that millions of young people under 20 years old took to streets around the world to protest our generation's limited action. Our children are the most informed generation in history and the science tells them that their futures and the future of our planet are at risk unless we act now. 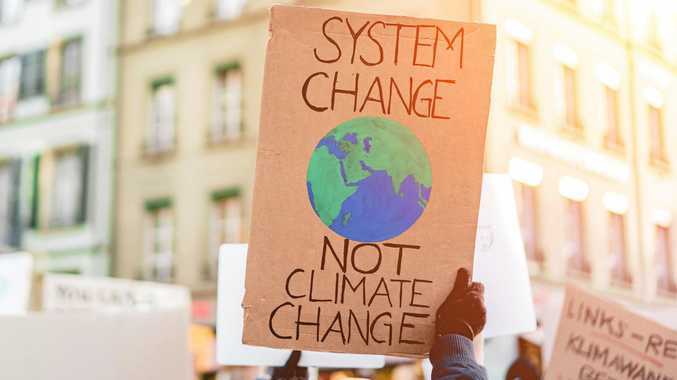 To solve the climate crisis we need to preserve a liveable planet, 1000 scientists confirming we have only 12 years to limit global warming to moderate levels. How old will your child be in 12 years? Steve Biddulph, author of books Raising Girls, Raising Boys and Complete Secrets of Happy Children, says we can't let our teens face this on their own. In an opinion piece in the lead-up to the strike, Biddulph urged parents to stand beside their teens. He did this because "it is not only acceptable, but essential for the mental health of young people that they can act on their greatest fears, and that we go along and stand with them, to restore their faith in our generation - in our credibility as parents”. Biddulph urges us as caring adults, parents, grandparents and teachers to let our kids know that we are going to do "more and more until all coal stays in the ground, all power is renewable, and the emissions start to go down”. While many teachers quietly supported the student strike, many schools sent out myriad warnings to parents that their child's attendance at school was mandatory, some even issuing suspensions and detentions for absences. They let kids face this on their own. Since the strike last month, the Human Rights Council has adopted a resolution calling on countries and states around the world "to provide a safe and empowering context for initiatives organised by young people and children to defend human rights relating to the environment”. UN experts on children's rights believe it is essential that children are enabled to safely promote their right to a healthy and sustainable environment. This safe and enabling space begins at home and at school. We need to join our children in caring for our one and only planet and advocating for the long-term greater good of all. And, with an election looming, we can be a voice for our children and ensure the environment and our children's futures define our voting choices.